I am always looking for new magic skin creams, cleansers and exfoliators that are going to keep my skin looking clear, fresh and youthful looking. This time round, it was time to try out a new brand. 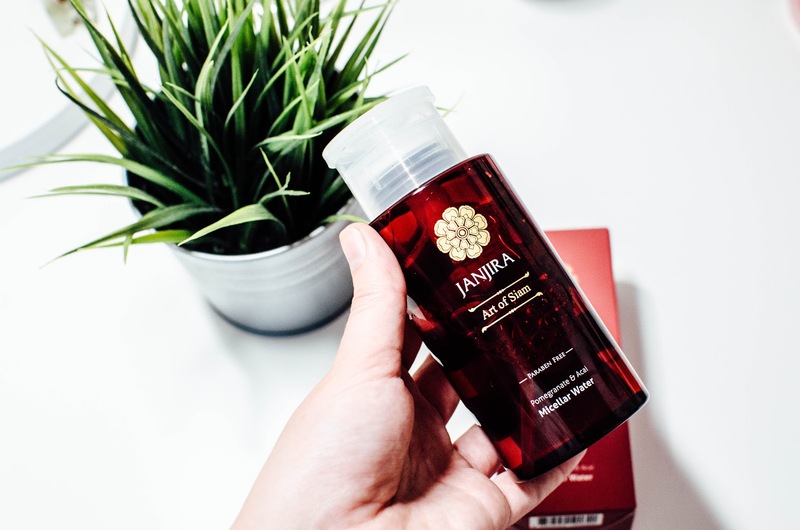 Janjira are a natural skincare company who produce Thai inspired spa products which are contain natural ingredients. Any product with natural ingredients is something I know that will be kind to my skin as it can be so sensitive! 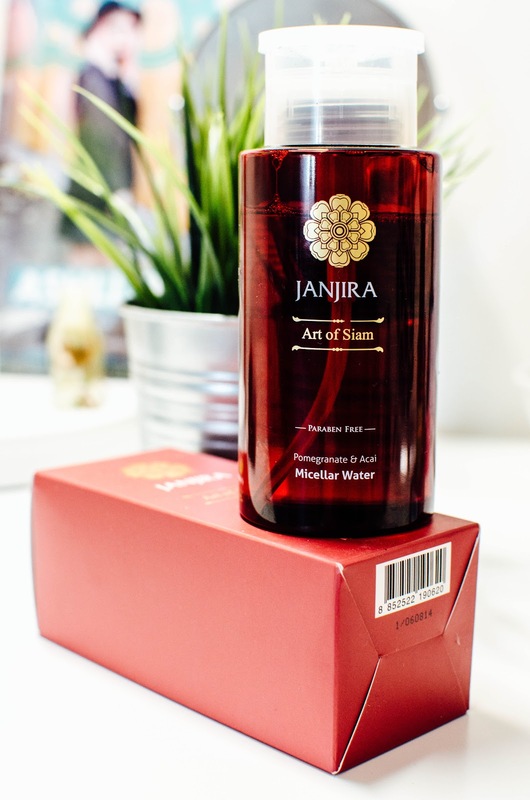 I was running low on my previous micellar water so when I saw the Janjira one with pomegranate in the ingredients; I was very eager to try it! Pomegranate is a good source of vitamin B5 and is enriched with minerals that boast anti-aging effects. Upon my first try, I applied the water onto cotton pads and applied these onto a full face of makeup. I found it removed the base makeup but it was very difficult to remove my eye makeup. I had to finish the job using my regular micellar water. I have since tried again and again to make this product work for me but it just doesn't do the job what I expect a micellar water to do. It's incredibly gentle to the skin and actually hasn't broken me out which most products do because my skin is sensitive. However, it does work nicely as a morning application to cleanse my skin before moisturising and applying makeup. I like to use it to really wake my eyes up in the mornings and find this is the best way for me to use it, personally. Face masks are probably my favourite family member within the skin care. I'm always excited when i receive or buy new ones as I always wonder will this be the best one I've used yet?! It's thick, white face mask that doesn't dry the face out like clay masks do for example. It's incredibly gentle to the face (once again) and leaves my skin feeling soft and firm. It's a great mask for morning and night; and is even good for a quick morning/night cleanser. You don't need a lot of product upon distribution to your face so I would say it's a great buy in terms of how many uses you get for your money's worth. 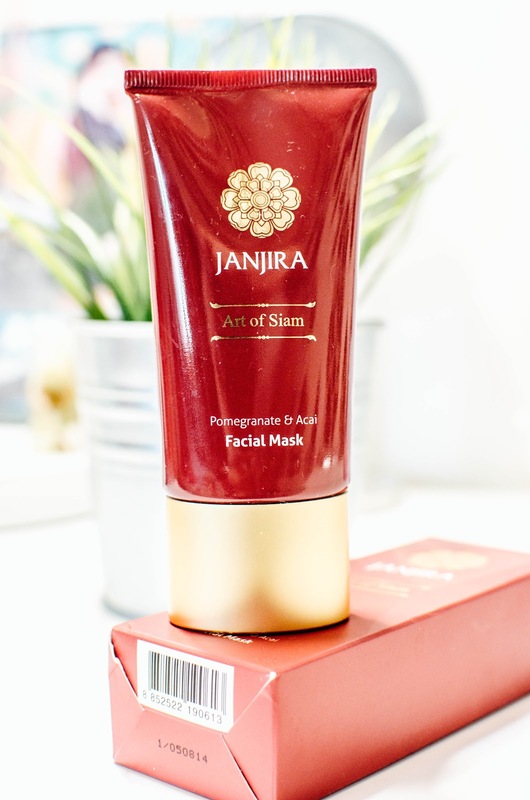 I have used this a wide number of times now and can confidently say that I would recommend it to anyone looking for a face mask that is gentle to sensitive skin. It hasn't broken me out and was really easy to wash off after leaving it to sink into my skin for 5-10 minutes. This is an utter 50/50 review because one product does not work for me, however one does so I would definitely be interested in trialling out other products from the range to see what they are like too. Of course, not every product is for everyone. It may just be I wear a bit too much eye makeup for the micellar water to remove it; whereas it may work perfectly for someone who barely wears any makeup but wants a quick and accessible makeup cleanse at the end of every evening. Disclaimer: PR samples sent in consideration for a review. All words, opinions and photographs are my own.